April: a month of awareness. It is the best of times, when the world stops to reflect on Autism; but it is also the worst of times, when we see the policies and services that still have yet to be developed and implemented, in order to improve the quality of life for persons living with Autism in Trinidad and Tobago. 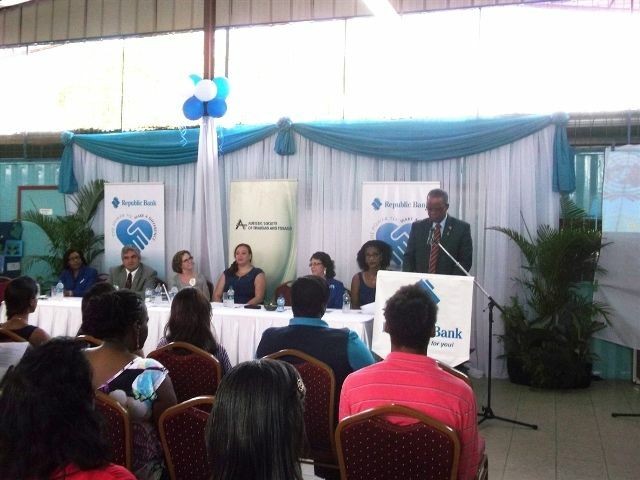 On Wednesday the 2nd of April 2014,World Autism Awareness Day was commemorated by the Autistic Society of Trinidad and Tobago at Autism Place in D’Abadie. Speakers included acting Prime Minister Errol McLeod and autism education specialist from Minnesota, USA, Mrs. Kari Dunn Buron. There were also addresses by ASTT’s President, Mrs. Teresina Sieunarine and General Manager, Ms Nichol Alves. It was a good day, a day when the Government supported Autism and a day for the families and individuals with autism to celebrate the significance of autism in their lives. A day to recognise that individuals with Autism bring a fresh and unique perspective to life, contribute to the development of art and music in Trinidad and challenge all educators to adapt to their unique learning styles. Some persons with autism are also able to have successful careers. The sad news however, is that not everyone is aware of this contribution or the difficulties that parents and individuals with autism suffer on a daily basis. This was one of the main messages of Suzette Neptune-Fortune’s performance at the World Autism Awareness Day 2014 function. The need for affordable therapies, affordable schools at all levels, appropriate health services, understanding and empathy, and government funding are some of the many challenges being faced by the autism community. Seated at the head table from Left to right: Ms Debra Carrington ,Representative, Republic Bank; Mr Alex McLaren, Representative, American Embassy; Mrs Kari Dunn Buron, autism education specialist, USA; Ms Nichol Alves, General Manager ASTT; Mrs Teresina Sieunarine, President of ASTT; Ms Joy Valdez, educator/volunteer and (at podium) acting Prime Minister Errol McLeod.